“A total of 28 children have gone back to formal school having graduated from the bridging school in 2018. 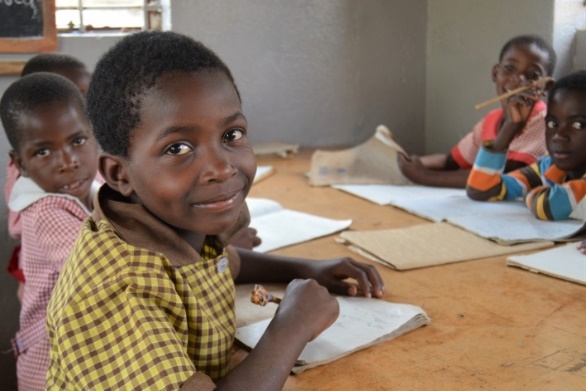 All the children in formal school had their school fees paid as well as receiving new uniforms and school stationery. A total of 25were enrolled for the bridging school starting January 2019 – 13 are girls and 12 are boys. All of the children have stationery, pencils, ball point pens, rulers, exercise books, coloring pencils and text books. The teachers have their teaching aids that include chalk, erasers, markers, ball points, manila sheets and teacher’s guide books. The classroom was renovated with floor tiles being put in and walls painted. Most of the children came to school not able to read or write but are now able to do both. We praise God for the couple who have taken on this project long-term, having been part of 3 short-term teams to Zimbabwe. As Jesus’ followers we are instructed to bring our “children up in the fear and admonition of the Lord.” That is what we are passionate about doing in our “bridging schools.” Thanks for making this areality. We are thrilled that you are part of our HOH family.